Fear can be overwhelming and destructive, but it’s also incredibly difficult to control. What does the Bible say about overcoming fear and anxiety? I’m afraid of spiders, of loud vacuum cleaners and of the gas light in my car. But fear isn’t so much the little things you jump at when they scurry out of the dark corner. The fear I’m talking about isn’t even the panic you feel when a car is hurtling toward you and you have to jump out of the way. That kind of fear is necessary to human survival, because it triggers our fight-or-flight response and causes us to take action! No, I’m talking about the fear that paralyzes. The fear of situations, of people and of things over which we have either no control or only limited control. 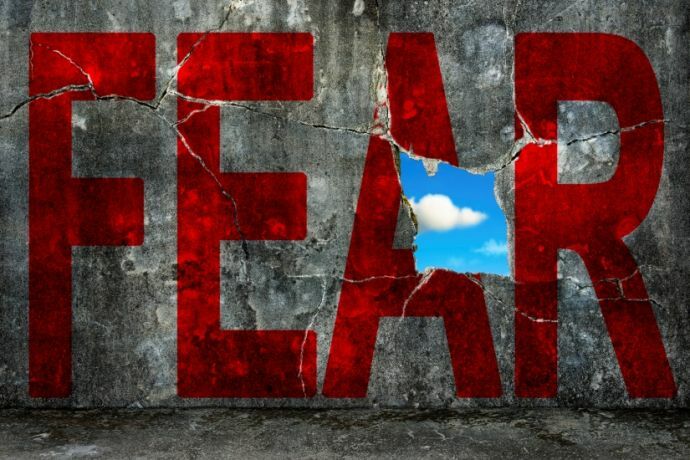 The fear that characterizes itself as worry and anxiety, fruitless and draining—like fear of losing friends or family members, fear of not being able to pay the bills, fear of rejection or fear of losing a job. And again, there is a difference between trying to avoid these negative things as far as we can, and fearing them—allowing them to overwhelm us, immobilize us, control us or exhaust us. We fear what we do not know and what we feel we cannot overcome. Sometimes we don’t even know what we are afraid of. Yet if we believe that God is ultimately in control, is completely powerful and completely omniscient, and has a perfect plan of salvation for all humanity, then what is there to be afraid of? The Bible shows us that this faith in God as our protector is incompatible with fear. There is nothing physical from which God cannot protect us. And yet we can know this intellectually—yes, I know … God is all-powerful … He loves me … I have nothing to fear—and still struggle against that deep-seated emotional level of fear. So what does the Bible say about how to overcome it? The first step to overcoming fear may seem strange—because it’s fear. But it’s fear of a very different kind: fear of God. Fear of God comes with understanding the immensity of His power compared with the power of any created thing. But fear of God can take us further than just being in awe of His power (James 2:19). The Bible shows that properly fearing God leads us to obey God, because we recognize that His divine intervention in our lives, as well as the natural laws He created, will ultimately bring negative consequences for disobedience and positive outcomes for obedience to Him. The outcome of godly fear is the opposite of worldly fear: confidence, because we know that our righteous actions will eventually have a good outcome. Even if things don’t always go as planned, or even if we experience hard times when we are obedient to God, we can trust that God, the omnipotent and omniscient and eternal, will ultimately reward us for it. We can then say, as David said, “The LORD is my light and my salvation; whom shall I fear? The LORD is the strength of my life; of whom shall I be afraid?” (Psalm 27:1). But there is another step. The Bible shows God wants more than obedience just based upon fear of consequences. Fear is dangerous insofar as we let it drive us. We can overcome it by turning to the One who created us and our emotions. Instead, we have to increase in the motivation of love (2 Peter 1:5-7). As we grow in love for one another and for God, we can better understand the depth of love that God has for us, and His great desire not to see any of us fearful or suffering. God wants us to succeed! He fervently desires to see each of us happy in this life and, ultimately, forever. He is doing everything He can in our lives to get us there (Philippians 1:6). The apostle John wrote, “There is no fear in love, but perfect love casts out fear, because fear involves torment. But he who fears has not been made perfect in love” (1 John 4:18). As we move from fear of consequences (torment) to love of God and of other people, we can replace anxiety with confidence. How can we get rid of it? Fear is dangerous insofar as we let it drive us. We can overcome it by turning to the One who created us and our emotions. We can go to God in prayer. We can pray about the issue we are afraid of and place it in His hands, recognizing His ultimate power in the situation (1 Peter 5:7). This is harder than it seems, I know. Then, we can try to wrench our minds from that fear (as huge and looming as it is) and recognize its smallness in comparison with the plan of God and the greatness of God. We can remind ourselves of the big picture, our place in it, and the little speck of this circumstance or emotion in the hugeness of it all. But we can also remind ourselves of the amazing fact that God cares about it, because He cares about us. We can take action. We can try to live by the Word of God in every part of our life and watch the positive outcomes that result from obedience! If we are afraid of losing our job, we can use godly principles to be the best employee we can be. We can be honest (Exodus 20:16), not “steal” time from our employer (verse 15) and do our work to the best of our ability (Ecclesiastes 9:10). If we are afraid of not having enough money to pay the bills, we can follow godly principles of spending, saving, hard work and tithing. If we are afraid of being alone, we can follow godly principles to build a closer relationship with God as our ultimate companion (see “Your Best Friend”), as well as to build closer relationships with others (see “How to Be a Good Neighbor”). God’s Word is full of practical advice to produce good results in our lives. Many fears are based on things over which we have very little or no control, such as fear of natural disasters, loss of loved ones or death. And even for those fears over which we do have some semblance of control, life is unpredictable. Remember the depth of God’s love for us, and remember that despite the small place that this particular struggle may take up in the midst of the big picture, God sees it and knows every facet of it. He knows the depth of our fear, and He knows the best outcome for our ultimate growth and well-being. Please note that anxiety and fear can stem from much deeper issues than this article addresses. If you are struggling with anxiety, it may be helpful to do more research and seek the assistance of family members, a minister, a professional therapist or a counselor.